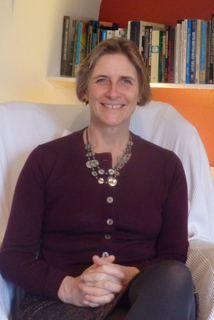 I qualified as a counsellor in 1995, and co-founded the Dunton Centre in 1996. I have maintained my position in the core group, over 20 years, managing and developing the Centre as an independent counselling and psychotherapy practice, maintaining a high level of professional standards and integrity. Prior to training as a counsellor, I spent 10 years as a social worker in children and family teams across Bedfordshire. This included working with families to prevent children coming into local authority care, working on care proceedings, court work with Youth Justice Teams, assessing and placing children in foster homes, and assessing prospective adoptive parents. My early career was spent in working overseas with NGOs in East Africa, India and Papua New Guinea involved in Youth and Community Education projects. I work as a counsellor of both adults and young people, offering both long term and time limited arrangements. I accept self-referrals as well as those referred through workplace programmes, GPs, health insurance or other agencies. I have worked as a counsellor in both primary and secondary schools. I am a trained and experienced supervisor. I offer group and individual supervision as well as supervision of supervisory work. I have been involved in the training of counsellors since 1997, developing and delivering training programmes from foundation to post graduate level. I have worked for Mid Bedfordshire Adult Education consortium, University of Cambridge Board of Continuing Education, and University of Hertfordshire Postgraduate programme. I also offer training in the use of sand tray, which reflects my interest in the integration of creative technique into therapy and supervision. I have a training in Parent Education (OCN) completed through Parentline Plus. I have completed an additional training in cognitive behavioural therapy. I believe that everyone has the inherent potential to strive towards a relationship with themselves, and a way of living that more adequately reflects who they truly are. It may be that the capacity to live creatively and fully in life has been compromised by necessary adaptations and patterns formed in early life, which at that time may have been necessary. You may now feel at odds with how you would like to be, and would like things to be different. The work in counselling is to understand the difference between ‘just surviving’ and living more fully and confidently. We work to achieve this through a process of learning to talk about feelings, arising from experience of both the present and the past. I hope to offer a relationship which strives to nurture, not judge, offer warmth not criticism, to be playful and imaginative not strictured. Our work lies in the acknowledgement that life is never certain or perfect but we can reach a good enough acceptance of ourselves, to experience life in a more satisfying way. My approach acknowledges that the past informs the present, and it is through a gentle understanding of this that we are able to reform our expectations and expectations of our future.